An important decision you will have to make when starting your own cleaning business is setting a cleaning rate. This is a guide about determining a reasonable cleaning rate. 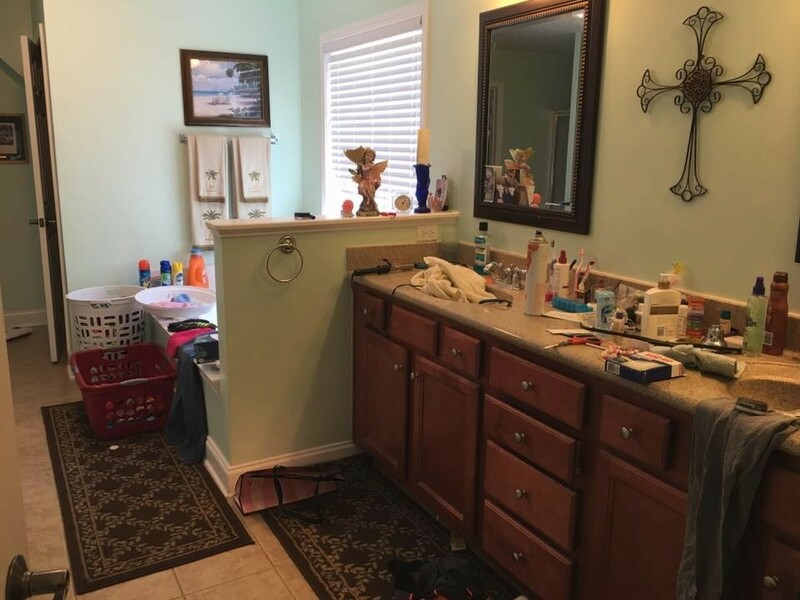 So I decluttered, cleaned, and organized a customer's home while she has been out of town. Since she has been gone I have done 3 bedrooms, 1 bathroom, 2 closets, one of the closets was as big a room pretty much. And I've been doing loads and loads of laundry. I've spent altogether about 16 hours there. She will be returning tomorrow and told me to tell her how much and she will write me a check. How much should I ask for? I don't know if I should charge by the hour, the room, or what. I have also been taking care of her 3 cats, guinea pig, and bird. I cleaned out the bird cage as well. I'm not a "professional", but I have done a great job because I am great at and love organizing and cleaning. Any comments or advice would be so great! I've included before and after pictures of some of the work. I live in Braselton, GA. It's about an hour from Atlanta. Thanks! I'd charge $350. I've been doing this for years. And just per room u did that's $50 a room plus laundry there's another $100 min then the pets another $100 and the normal cleaning another $100. I recently quoted a potential client 125.00 for a 5 bedroom, 3 bath, 3200 sq foot home. She was quick to tell me she had someone clean for considerably less. She also has 3 children, a pet rabbit, and a dog inside. Help? $125 is a really good price to clean up after this lot! She's trying to intimidate you before you've even broken out the broom. She's clearly going to be a real problem client. The money she is willing to pay is not anywhere near enough to put up with this woman, her three children, and her other zoo critters! Anything under $125 is too little - bet she wants to pay $75! 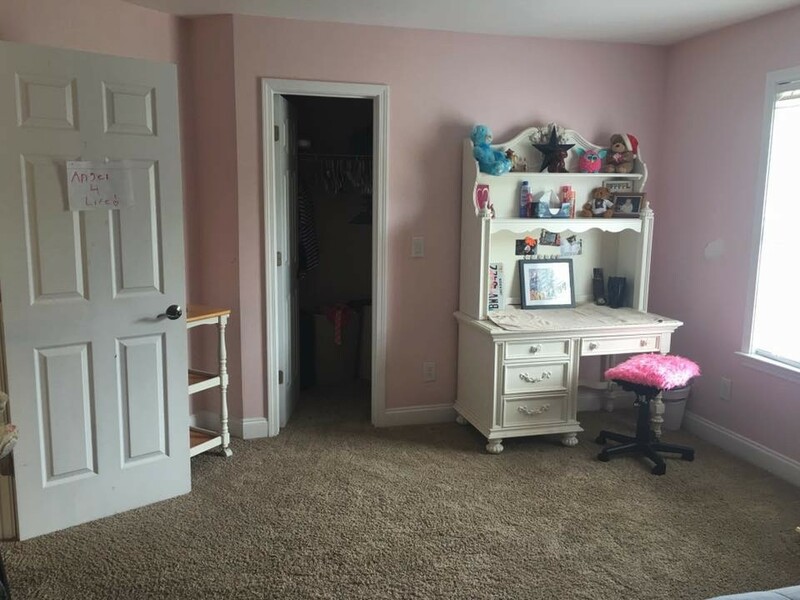 Truthfully the right price for this much work (because really, with her attitude it's clear she's going to expect you to do a lot more than just clean up after her and the zoo) is $150, $200 if I'm right and it turns out she expects child-minding, and lots of other 'little things'. And the pricing should be figured for after tax - make sure she (or anyone else) pays you enough to leave that $125-200 in your pocketbook after your paying taxes on the earning. How much should I charge for a weekly cleaning of a 2000 - 2500 square foot, 3 bedroom and 3 bath home? She would also like her windows cleaned and her oven and refrigerator cleaned. Thanks for your help. It depends on where you are and how much competition there is in your area. I would think that $125 is the minimum per week but $185 might be more realistic. I pay $90 for my (daughter's) 1 BR apartment once per month and $175 for my house. 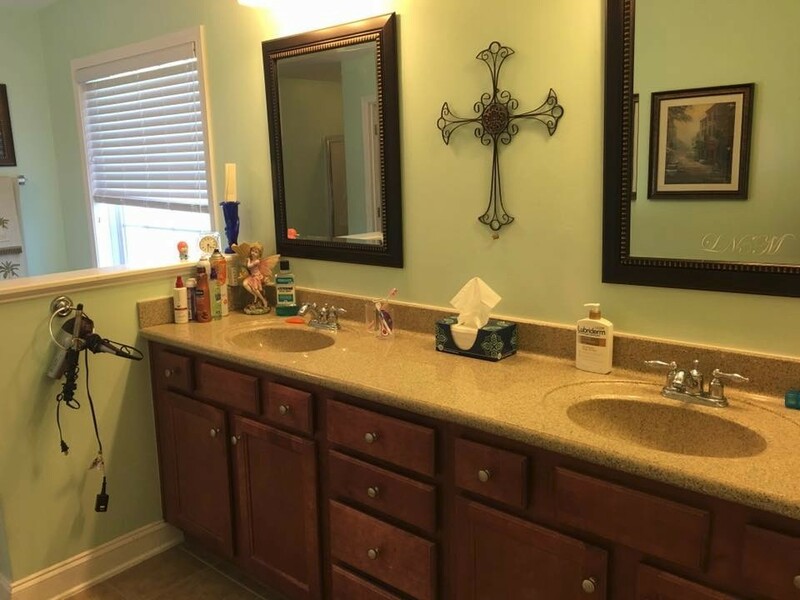 I have 6 BR, 3.5 bath but only ask for two bedrooms, kitchen and den to be done every month. Good luck. Wish you were near me since the people that clean my house do a barely adequate job. They certainly do NOT do windows. Depends if it's weekly or biweekly $140 is what I charge. Windows are an extra charge. How much do I charge for the 1st cleaning of a very dirty, very cluttered 1 bedroom apartment? This is for a good male friend of mine. He has asked me to help him. He wants to straighten his place up. It's a total wreck, everything, every room. 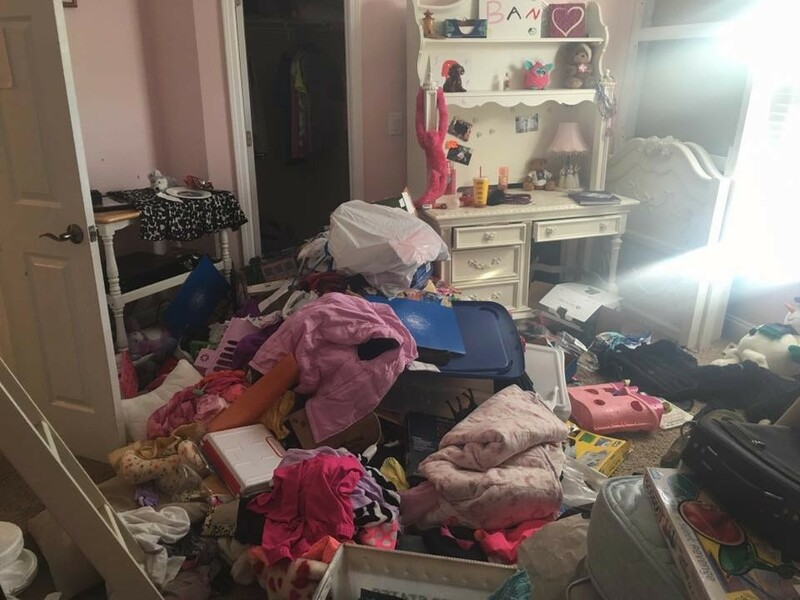 There are clothes everywhere, scrap electric things, junk kitchen a total mess, bathroom is unreal and the bedroom as well. There is no organization at all, not one room. It will take probably 2 or 3 days at 8 hrs a day, maybe more. Help me! Are you truly helping him clean or will you be doing all the work yourself? If he is helping, too, I would probably charge around $50 a day. If you're doing it all by yourself, I would charge at least $75 per day. Maybe more, depending on the amount of work involved. I would search cleaning services to find out what they would charge and share that info with your friend. Then tell him what you will charge (maybe half?). Remember to wear gloves and a face mask in case you uncover "surprises" such as mold, insects, etc. Good luck! 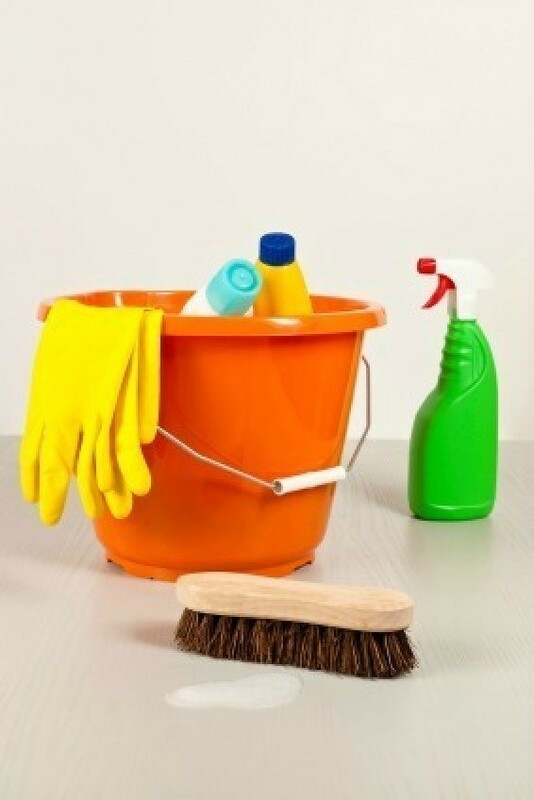 How much should I charge per hour for house cleaning in Montana? You might want to think about charging per room or per task, or perhaps think of a list of regular duties that will be included in your basic clean such as floors swept/vacuumed/mopped, dusting, dishes, counter tops, bathrooms. 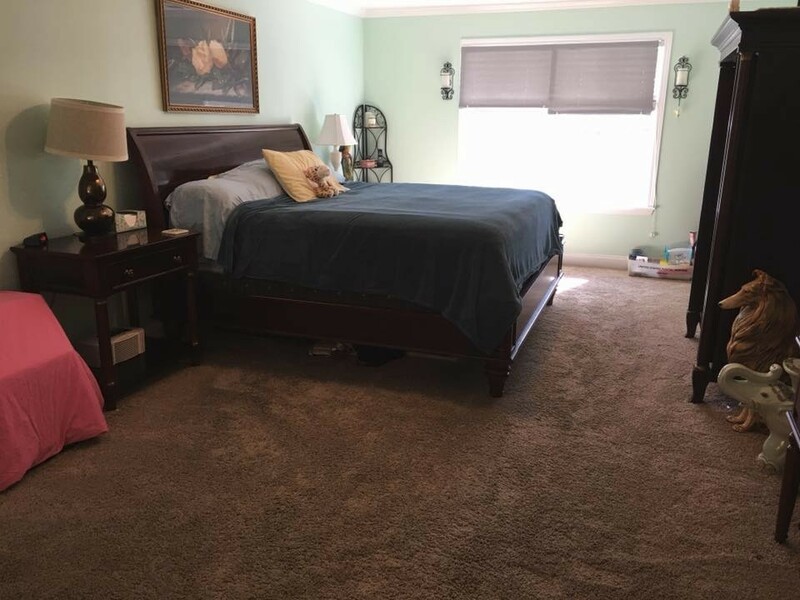 What I would do is come up with a list of duties that you will do for each room of the house in which you will be cleaning and be considered your basic clean package. This is what you will do for the client every time you come, then add on to that for extra things that dont necessarily need to be done every time but just so often or on request. These extras can be things like changing the bed linens, cleaning out the fridge, laundry, window washing. For your basic clean you want to figure in what the supplies will cost for everything you need and you need to figure how long it should take you to do the work. How much do you want to make an hour? Say $10.00 per hour for example, so with your supplies lets just say it cost $20.00 and your gas to get there and home $10.00 Lets say it takes you 3 hours to do what you have come up with for the basic clean with everything added together thats $60.00 and then you add on for extra rooms, extra chores ect It is kind of hard to say how much you should just charge per hour because some people clean really fast and others really slow. What might seem like a very long day cleaning to you might look like you could of done more with the time you had to the customer, Usually it always will because your on their dime. With a set price per job they know what they are getting and what you expect to be paid. This also helps you not be taken advantage of by people making you do really grueling work for little to no money by the hour. Best of luck. My name is Seazen and I am trying to start my own cleaning business. I have absolutely no idea what prices I should quote. Please help. Years ago, our oldest daughter started a cleaning service when she was still in high school. The first single family home she cleaned was a real mess, and she had agreed to clean it for $25. (Remember I said it was "years ago"). To clean that house the way she'd been taught to clean a home took her 3 days. She had agreed to clean it for $25 the one time, and had to keep her word, but she did it for the one time only. When the people asked her to come back, she told them that she would want twice that first fee to ever do it again. They gladly paid it. After she'd cleaned it that first time, she'd done such a good job and that was the way they wanted it cleaned from then on. Even though they'd had other housekeepers work for them, they'd never been as happy with their work as they were with the way Mel cleaned. If you really don't know how long a job will take or how much to charge, then charge what you think the job is worth and do it for the one time. This does two things. It allows the home or apartment owner to see the quality of your work and allows you to find out how long it takes, etc. You will be much better able to give them a price then for continued service. When you take any kind of job, you are often on a 90-day trial period which allows the employer to see the quality of your work in relationship to how much you're being paid per hour. At the end of the trial period, the employer knows whether or not to keep you employed. That is a good way to approach the value of a private cleaning service from both parties' viewpoints except you only need to do a one-time clean for the price you quoted. After that, you can decide what the job is actually worth, and the home or apartment owner can decide if they like your work well enough to pay what you intend to charge on a regular basis. Keep in mind that the more often you clean their home or apartment, the less you might have to charge since you are doing such a good job each time, consequently, it takes you less time on a regular basis. After bidding too low on a couple of jobs, you will soon learn if you've bid accurately, and there is no better teacher than your own experience. You might decide that you don't want to work for that person at any price. It happens sometimes. I love bartering, and feel that both people benefit the most when bartering labor, skills, or material goods. You both get exactly what you want and you didn't have to go anywhere else to get the money first before getting what you want. You so often get a lot more for your "bartering" than you would when having to pay for it in "dollars" anyway. Good luck with your business. I admire your willingness to work at a job so many men and women just hate. They most likely were never taught when they were growing up or they simply don't have time to do it right. I just started my first cleaning job, my initial quote was $10 an hour, because I was told it was only lite cleaning 1-2-3 days a week. When I arrived I realized that I totally undercut myself. The home is is extremely cluttered and on top of that the home owner requested that I do hours worth of gardening and yard work. They are very nice people, but I don't know what would be a good rate to charge, and if I need to go with a separate rate for the yard work. The home is approximately 2500 sq. feet, if not more and has 4 bedrooms. Learn from your mistakes this time by having a look at exactly what you will be asked to clean, including the exact garden work. Then, for this job only increase your price only slightly, but first keeping in mind that having one job that could be a permanent guaranteed pay (because of the clutter and on-going need of the owner) and good hours, you may do better with this "bird in the hand at the price you quoted" than having no other work for a while? If you and this owner get along well, you may do just fine and find it both interesting and rewardingly helpful to the one with the clutter. I know, I have clutter and need help, but unfortunately cannot afford to pay a thing, having to do it all myself instead, but is the consequence of letting it get stacked up. Boy did you under price yourself. I don't know about Florida, but in many parts of the country the price is more like $20 an hour. Yard work? you didn't sign up for yard work. You're simply going to have to have a sit down and tell these cheap people that you didn't realize how much work there was to do. That you're going to have to raise your price to at least $15 an hour and yard work is something completely different. Check you local want ads and see what others are charging for housecleaning. See what landscapers are charging (which is a heck of a lot more) and either raise to that price when you do yard work, or tell them you're not a landscaper, you do house work. Clutter. I always tell people from the get go that there's not a lot I can do about their clutter. That's their job. You can't throw away things and you have no idea where to put their clutter. I have always charged by the job rather than the hour. I am fast so that works. They know they're not paying me to goof off or take breaks. I can (usually) tell how long it will take for a job and figure it out at $20 per hour. Professional services charge $20-$40 an hour for each person they send. I always tell them from the start that if I feel I quoted too low I will have to raise the price. I have never done that and should have one time. Still check around and see what others in your area are charging. I do know that the elderly expect to pay wages from 30 years ago. My partner and I have a small cleaning business. We are insured and bonded which costs quite a bit, but gets us jobs like apartment complexes and such. We charge $30 for the first 2 hours worth of cleaning and $12.50 per hour after that. Now, when we both go and clean, we are actually there for 1 hour on a 2 hour cleaning. Some clients give a time limit such as they want us for 3 hours worth of cleaning. Others give us a list of what they want done and we keep track of our time. We take breaks, but that time is subtracted from the time we are actually there. If they want 3 hours and we take a 15 minute break, we are actually there 1 hour and 45 minutes. That way we both work 1 1/2 hours which equals their 3 hours worth of cleaning and they don't pay for our 15 minute break. We do have one apartment complex that pays flat rate. Some are done faster than others and some (like the one we did today) take a lot longer, but it sort of averages out. This was in Louisiana, where I think hourly charges tended to be lower.